Daniel Ratliff graduated from the Michigan Venture Fellows Program in 2016 while at Fontinalis Partners. He is currently a senior associate at Fontinalis Partners in Detroit, MI. Dan is a senior associate at Fontinalis, where he is responsible for supporting the company’s efforts in numerous areas including new investments, existing portfolio companies, administrative and reporting, and fund raising. Dan works with the Fontinalis investment team conducting research, analyzing, and evaluating new investment opportunities, collaborating with portfolio companies on strategic and financial analyses, and supporting the firm’s operations and business strategy. Prior to joining Fontinalis, Dan was an analyst at P&M Corporate Finance (PMCF), an investment banking affiliate of national accounting and professional services firm Plante Moran. During his three years at PMCF, he was engaged on numerous buy-side and sell-side M&A transactions focused on the plastics and packaging manufacturing space, working with a range of business and finance professionals including entrepreneurs, private equity investors, and other investment bankers. 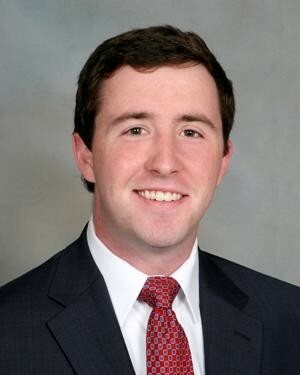 Dan earned his master’s degree in Finance from Vanderbilt University’s Owen Graduate School of Management, and he holds a Bachelor of Arts degree in accounting from the Eli Broad College of Business at Michigan State University, where he was a member of the Honors College.